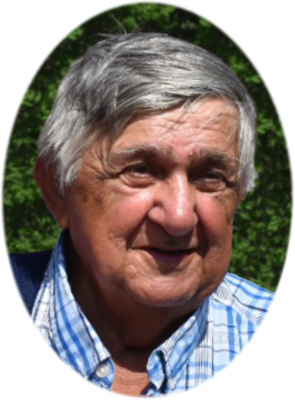 John Steve Fabus Jr. age 77, of Ashley, MI, passed away Monday, August 27, 2018, at Munson Healthcare-Grayling Hospital, Grayling, MI. Funeral Services will be held at Smith Family Funeral Homes Elsie, MI, on Friday, August 31, 2018 at 6:30 P.M., with Mrs. Margaret Horak officiating. Visitation will be held on Friday, August 31, 2018 from 3:00-6:30 P.M. prior to the service at the funeral home. John was born in St. Johns, MI on March 29, 1941, the son of John Steve and Lena Elizabeth (Sedlar) Fabus. He resided most of his life in Ashley and was a graduate of Ashley High School class of 1958. John retired from Federal Mogul in 2006. He loved to fish and was an avid sports fan. He is survived by his daughter Michele and Tony Tupica of Ashley, MI; son John Fabus and Joan Phillips of Bay City, MI; daughter Sheri and John Smeltzer of Sedalia, MO; 9 grandchildren: Michael (Heather) Tupica, Mary (Rick) Evans, Mark Tupica, Erica Fabus, Andrew Smeltzer, Ben Smeltzer, Abby Smeltzer, Claire Smeltzer and Eli Smeltzer; a great-granddaughter Emily Evans; sister Marie and Jerry Skaryd of Ashley, MI; brother Tom and Audrey Fabus of DeWitt, MI; brother Jerry and Janet Fabus of Monterey, TN; and sister Karen and Rich Maxa of St. Johns, MI. John was preceded in death by his parents. Memorials may be made to a Charity of Donor's Choice. Online condolences can be sent to www.smithfamilyfuneralhomes.com. The family is being served by Smith Family Funeral Homes, Elsie, MI.